The Accademia Nazionale di Santa Cecilia is one of the oldest musical institutions in the world. Officially founded in 1585, it has evolved over the centuries from an organization of largely “local” musicians to a modern academy and symphonic concert organization of international repute. Uniting an academic body of 100 of the most illustrious exponents of culture and music with a symphonic orchestra and chorus that are among the most internationally renowned, the Accademia carries out professional musical training and conserves an extremely rich historical patrimony, thus reflecting its own multi-century history. Sir Antonio Pappano has been Music Director of the Accademia Nazionale di Santa Cecilia since October 2005; he had already become Music Director of London’s Covent Garden in September 2002. October 2017 saw Askonas Holt’s first tour with the Accademia Nazionale di Santa Cecilia, in which the orchestra performed across the US with Sir Antonio Pappano, Martha Argerich and Beatrice Rana, in Boston, Rochester NY and Washington DC. The Bamberger Symphoniker – Bayerische Staatsphilharmonie has always enjoyed a special status in the music world. 7,000 concerts in more than 60 countries and 500 cities – with this record, the Bamberger Symphoniker is rightly considered the German touring orchestra. That reputation is also in no small part due to the Principal and Guest Conductors who have led and shaped the Bamberger Symphoniker over the decades. Since January 2000, the Orchestra’s artistic direction has been in the hands of Jonathan Nott whose contract ran until summer 2016. Alongside Nott, Herbert Blomstedt has also played a distinguished role in Bamberg as Honorary Conductor since March 2006; in January 2016, Christoph Eschenbach was also appointed Honorary Conductor of the Orchestra; and from 2010-2013 Robin Ticciati was Principal Guest Conductor. From autumn 2016, Jakub Hrůša assumed musical direction of the orchestra. Under Nott, the Bamberger Symphoniker has performed at the Salzburg and Beijing festivals, at London’s BBC Proms, San Sebastián and, on four occasions, at New York’s Lincoln Center. They have undertaken extended trips round Europe, with concerts in Paris, Madrid, Brussels, Luxemburg, London, Vienna and Berlin, and tours of Japan, China and recently to South America in 2016. BBC National Orchestra of Wales plays a special role as both a broadcast orchestra and the national symphony orchestra of Wales. Its adventurous programming is driven by the artistic team of Principal Conductor Thomas Søndergård, Principal Guest Conductor Xian Zhang and Conductor Laureate Tadaaki Otaka. An ambassador of Welsh music, the Orchestra works closely with Composer-in-Association Huw Watkins championing Welsh contemporary music. Part of BBC Wales and generously supported by the Arts Council of Wales, BBC NOW perform a busy schedule of live concerts, touring throughout Wales and the UK. Almost all of their performances can be heard on the BBC, with frequent broadcasts on BBC Radio 3, BBC Radio Wales and BBC Radio Cymru, and appearances at BBC Cardiff Singer of the World and annually at the BBC Proms. Autumn 2015 saw one of its most ambitious tours to date spending three weeks in South America, including a community residency celebrating the 150th anniversary the Welsh settlement in Patagonia, and concert performances in Argentina, Chile and Uruguay. As well as delivering an extensive learning programme, BBC NOW is one of the UK’s foremost soundtrack orchestras. From their studio at BBC Hoddinott Hall in Wales Millennium Centre, they’ve worked with programmes such as War and Peace, A Midsummer Night’s Dream and produced award winning soundtracks for Doctor Who. Askonas Holt is delighted to be working with the Bergen Philharmonic Orchestra, Norway’s national orchestra. Dating back to 1765, the Bergen Philharmonic Orchestra is one of the world’s oldest orchestras, and celebrated its 250th anniversary in 2015. In the same year, Edward Gardner became Chief Conductor of the orchestra. January 2017 marked the start of Askonas Holt’s working relationship with the Bergen Philharmonic Orchestra with a successful five-date tour of the UK, culminating in a performance at the Concertgebouw in Amsterdam. In August 2017 the Orchestra received 5* reviews all-round for their incredible performance of Britten’s Peter Grimes at the Edinburgh International Festival. The Orchestra has recently returned from a successful five-date European tour; upcoming plans include a summer festival tour in August 2018. Askonas Holt’s relationship with the legendary Berliner Philharmoniker has spanned decades. We have managed many concert tours for the orchestra in Europe and Asia, including numerous visits to London, under the batons of Sir Simon Rattle, Bernard Haitink, Claudio Abbado, Herbert von Karajan and others. Since Sir Simon Rattle’s appointment as Music Director of the Berliner Philharmoniker in 2002, Askonas Holt has arranged concerts in cities as diverse as London, Rome, Moscow, Beijing, Taipei and Tokyo. In 2015 the Berliner Philharmoniker celebrated Sir Simon Rattle’s 60th birthday in style with a week-long London residency, performing a Sibelius Symphony Cycle at the Barbican Hall and Mahler and Helmut Lachenmann at the Royal Festival Hall. In May 2018 the orchestra performed with Sir Simon in London for the final time with two highly acclaimed concerts at the Royal Festival Hall. The orchestra returns to the London for the BBC Proms in September with new Music Director Kirill Petrenko before undertaking an extensive tour of Asia with Gustavo Dudamel in November. Concerts by the Boston Symphony Orchestra in Europe are infrequent but unforgettable. 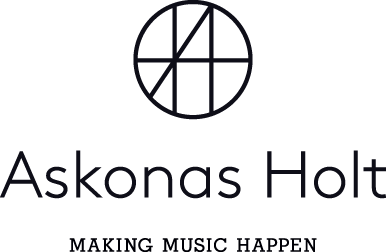 Askonas Holt is proud of its long relationship with this great orchestra. For nearly fifty years, we have presented their London concerts under such celebrated music directors as William Steinberg (1969) and Seiji Ozawa (1973). We are also delighted to have collaborated with them for their two European tours, managing their concerts with their Conductor Emeritus (and former Principal Guest Conductor), Bernard Haitink, at the BBC Proms and Edinburgh Festival, and their return to the BBC Proms with their previous Music Director, James Levine (2004-2011). Askonas Holt looks forward to welcoming the Boston Symphony Orchestra and Andris Nelsons back to the BBC Proms in September 2018. Askonas Holt is delighted to represent the Bournemouth Symphony Orchestra, a cultural beacon for the South and South West of England. The BSO remains at the forefront of the UK orchestral scene since its foundation in 1893. It serves communities across the South and South West and extends its influence across the whole of the UK and internationally with regular festival appearances, an extensive catalogue of recordings and live broadcasts on BBC Radio 3. Taking its lead from founder Sir Dan Godfrey, the BSO is one of the UK’s most dynamic and innovative symphony orchestras. He established a world class ensemble and during his tenure not only did the Orchestra work with such illustrious figures as Bartók, Sibelius, Holst, Stravinsky, Elgar and Vaughan Williams, Bournemouth was also the first orchestra to have performed all the Tchaikovsky symphonies in the UK and gave more premières than any other orchestra at the time. More recently composers who have worked with the BSO include Sir Michael Tippett, Sir John Tavener, Sir Peter Maxwell Davies, Rodion Shchedrin, David Matthews and Mark Anthony Turnage. The BSO has a continuing relationship with Stephen McNeff and James MacMillan. Kirill Karabits is the BSO’s Chief Conductor – a role which will see him lead the Orchestra to its 125th Anniversary in 2018 and beyond. He continues the fine pedigree of esteemed past Principal Conductors including Sir Charles Groves, Constantin Silvestri, Rudolf Schwarz, Paavo Berglund, Andrew Litton, Yakov Kreizberg and Marin Alsop. Each year the BSO performs upwards of 140 public performances in its home region of over 10,000 square miles along with regularl appearinces at venues in Birmingham, Cardiff, Leeds, and the BBC Proms at the Royal Albert Hall in London. The BSO has toured worldwide, having played at Carnegie Hall and the Lincoln Center, New York; Concertgebouw, Amsterdam; Musikverein and Konzerthaus, Vienna; Rudolfinum, Prague; and Philharmonie, Berlin. Recent visits have also included performances in Hong Kong, Hamburg, Bremen and Wilhelmshaven. Dietrich Paredes is the orchestra’s Music Director. The Caracas Symphony Orchestra (formerly known as the Youth Orchestra of Caracas) has now become one of the most representative orchestras of the National System of Youth and Children’s Orchestras and Choirs of Venezuela, founded by Maestro José Antonio Abreu 40 years ago. In 2011, the Orchestra made its international debut at the Bergen International Music Festival, followed by a highly acclaimed tour to Asia with concerts in China and Korea. In 2012, the orchestra’s touring work included concerts throughout Europe. In 2013 the Orchestra made its debut at the Salzburg Festival as part of an historic El Sistema residency involving over 1,000 young musicians. In addition, it also performed for the first time in Japan and returned to Korea. In 2014, the Orchestra returned to Europe with concerts in Zurich, Hamburg, Paris, Budapest and Vienna among other cities.